Creating music is an act of trust and generosity. To share something personal, publicly, is not an easy thing for many people to do. That first step: being willing to share your ideas with others and trust that what you are sharing is of value is an act of true generosity. For the second step, a step nearly as important as the first: to effectively communicate those ideas to others, a sound engineer can make all the difference in how effective your communication is received. A GREAT sound engineer does many things, but all for one simple purpose: to effectively help you communicate your creative vision. Vinny Millevolte is a truly great sound engineer and producer. There are many people who have worn the title before, indeed many people in their basements right now performing sound engineering that sounds fine, but what distinguishes Vinny from other engineers is his incredible creativity and range of experience capturing great sounds. He is great not because he studied music and sound engineering at the University of Southern California (USC), not because he has engineered for folk guitar magician Willy Porter or John Legend ’s guitarist Shonn Hinton , not because he has an incredible knowledge of Pro Tools and Logic software or that he is equipped with fantastic vintage analog as well as modern audio equipment and microphones. He is great because he is creative and knows how to use his equipment and knowledge to help you communicate what you have to say. Vinny’s studio in Oconomowoc, WI. 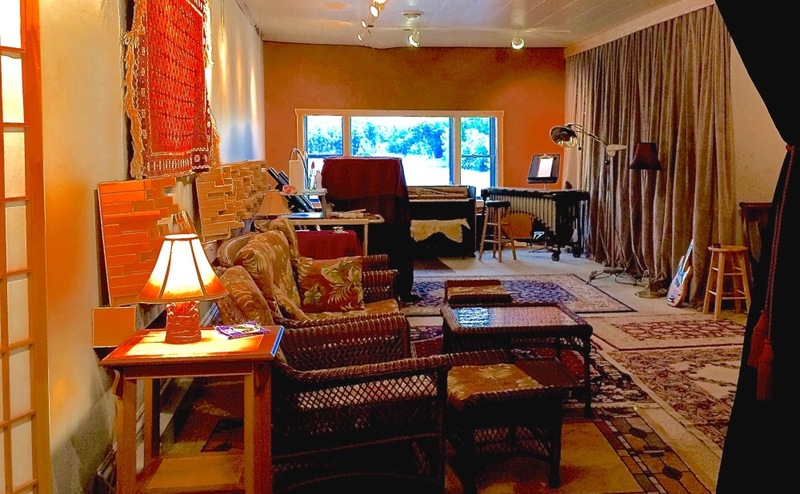 is not the quintessential slick L.A. style recording studio for good reason: he is not seeking “typical” results. The environment he has created was not designed to impress record executives or intimidate beginners, the environment, like Vinny, is concerned with creativity. Because he has not lost his connection with his purpose of helping others realize their creative potential, Vinny has worked across all genres of music from Black American Gospel to Irish/Celtic music. If you are seeking a way to bring your creative vision into the world, there is no better person that I am aware of to help you actualize that vision than Vinny.